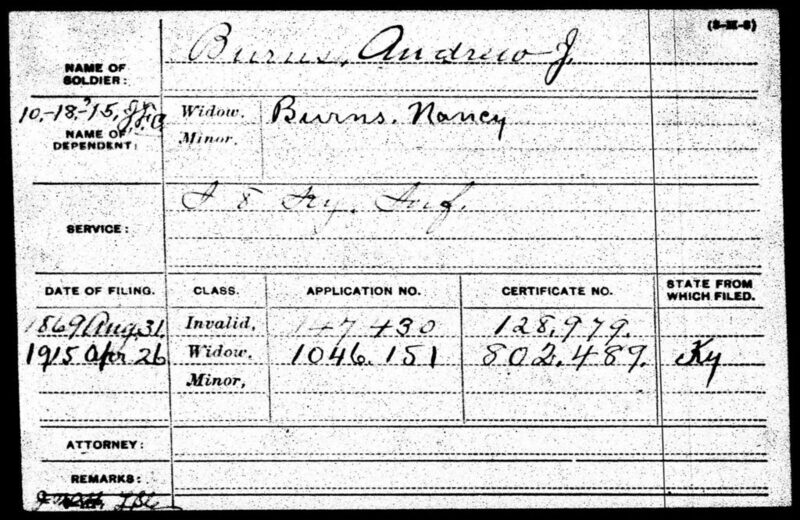 Andrew Jackson “Andy” “AJ” Burns was born 26 June 1844 in Clay County Kentucky. 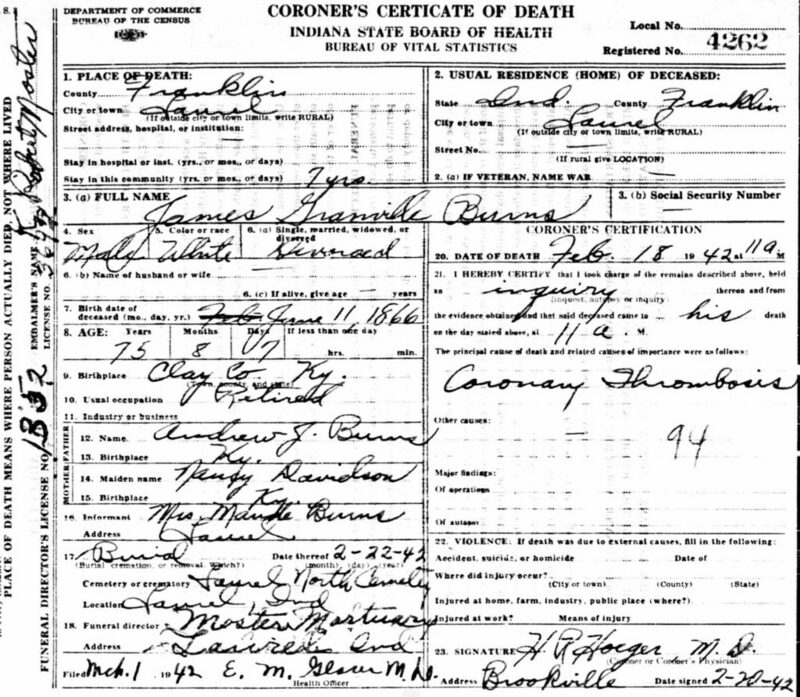 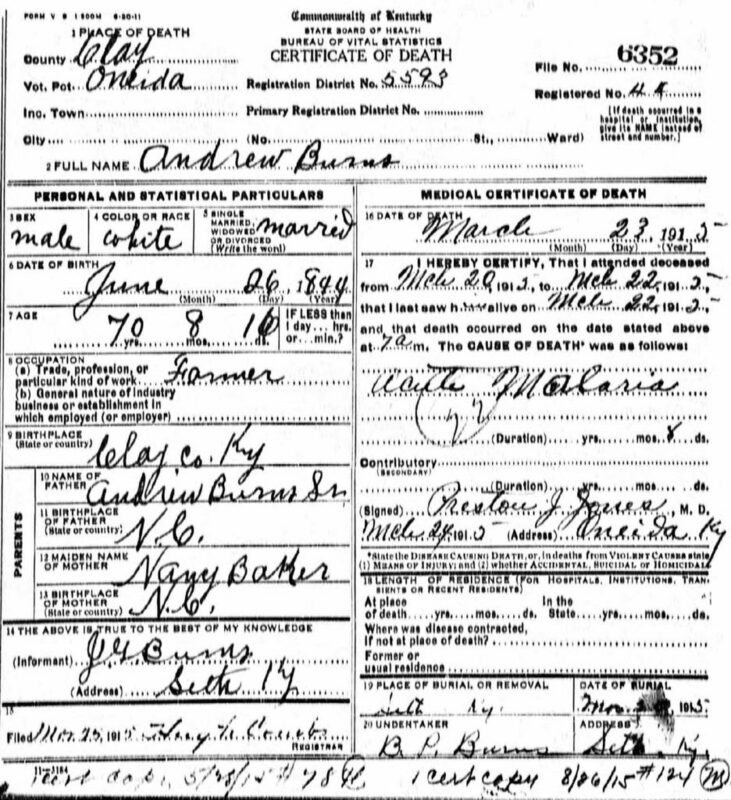 His parents were Andrew and Nancy (Baker) Burns. 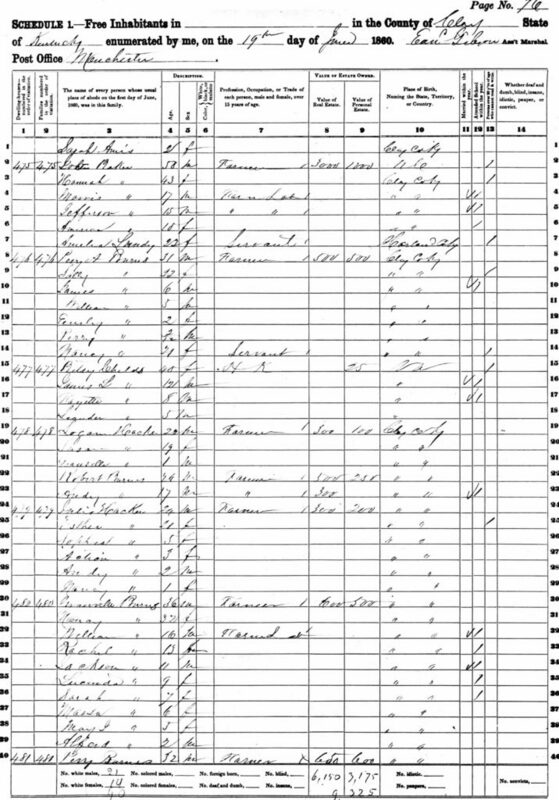 1860 Fed. 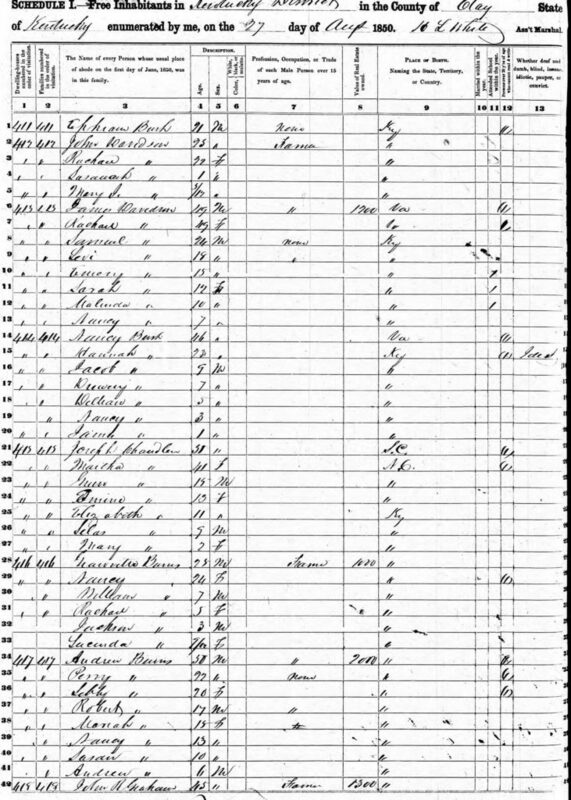 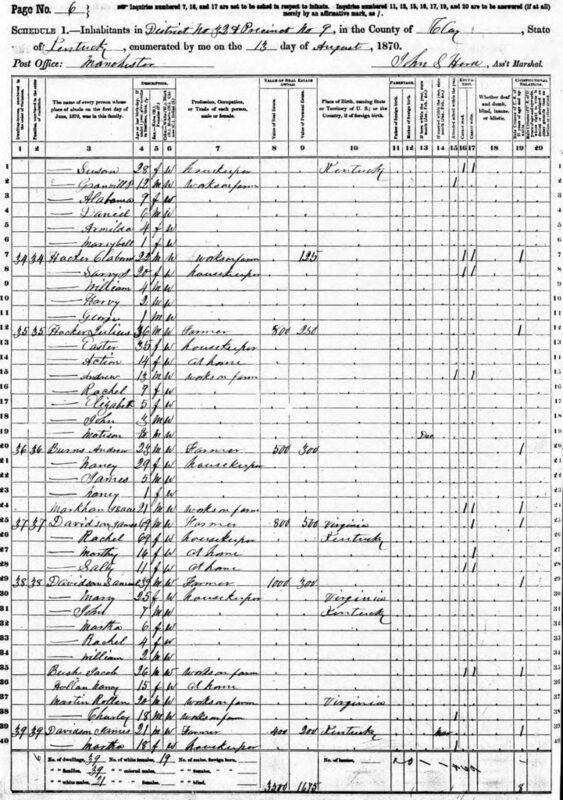 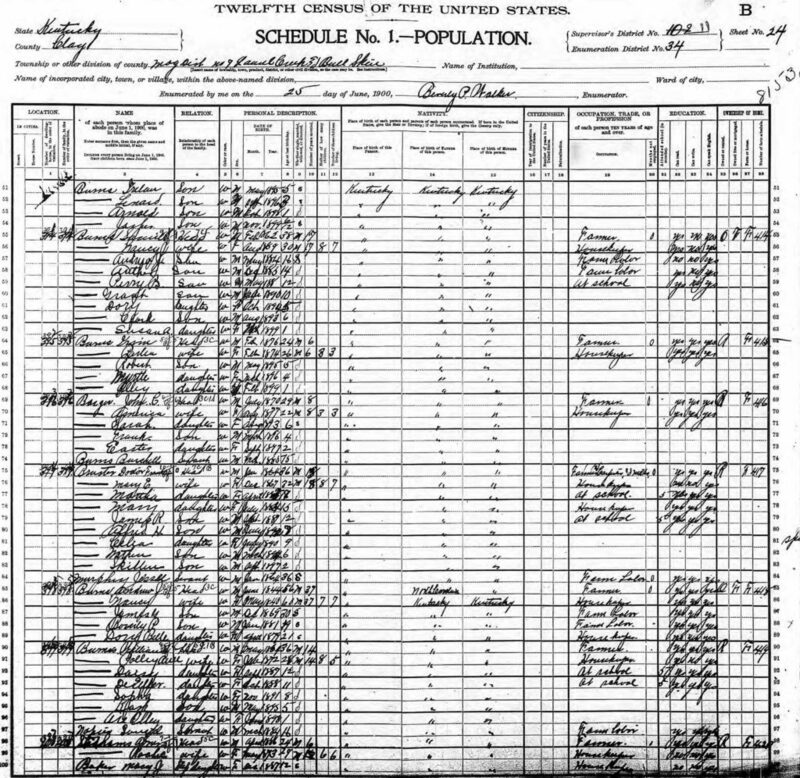 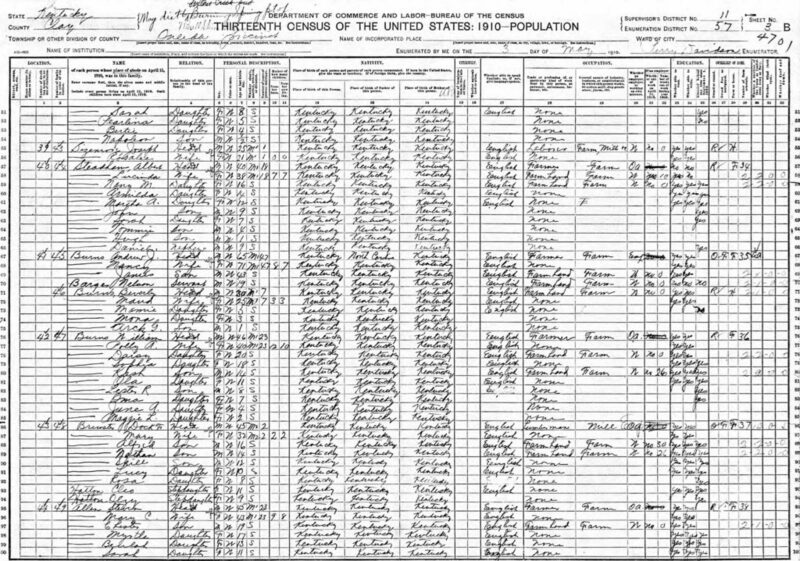 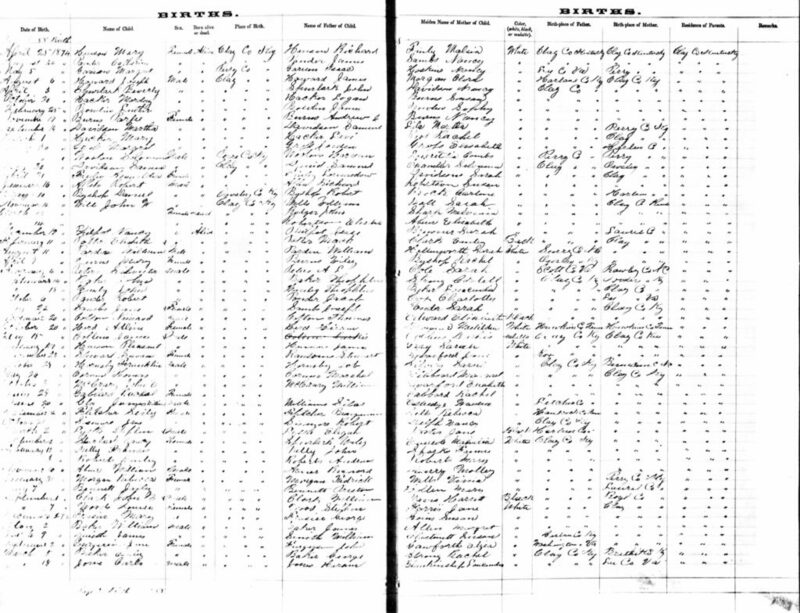 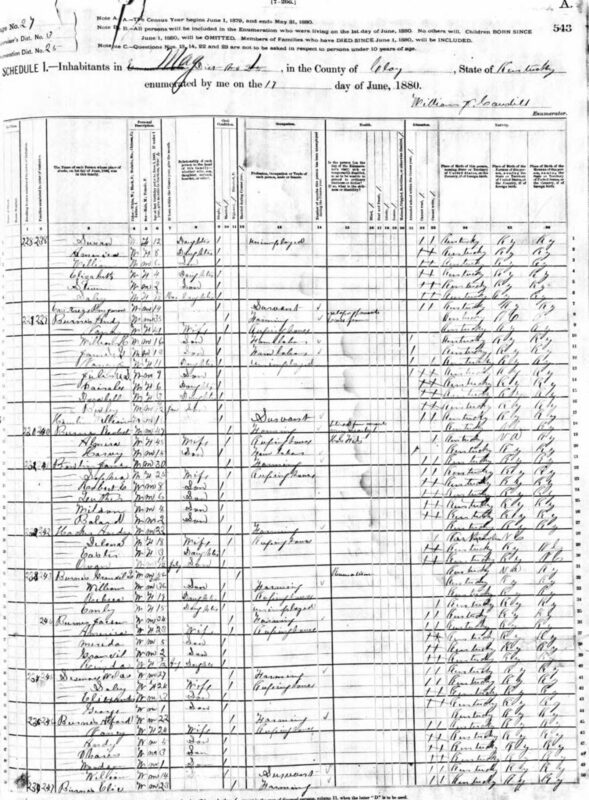 Census: Andrew was living with his sister and her husband. 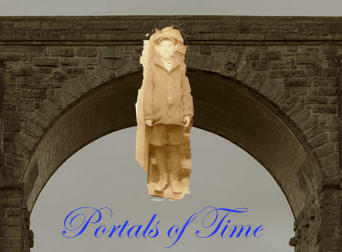 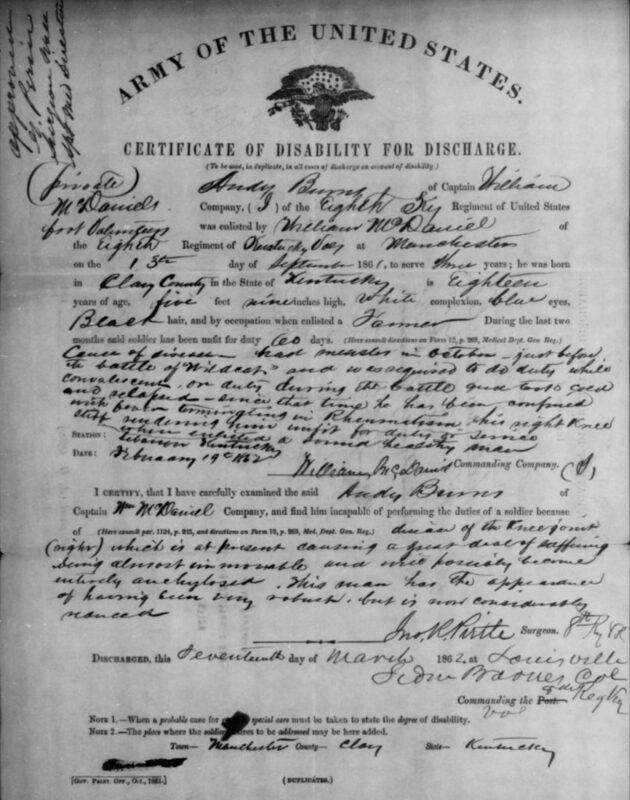 Andy Burns enlisted in the Union Army and was at the Battle of Wildcat Mountain. 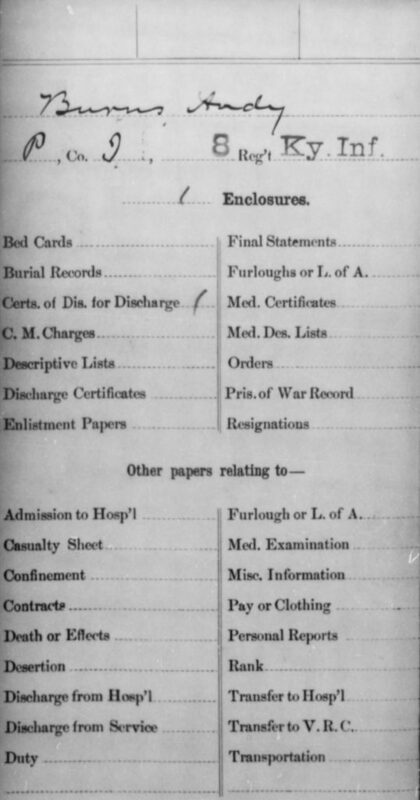 He was shortly after the battle medically discharged. 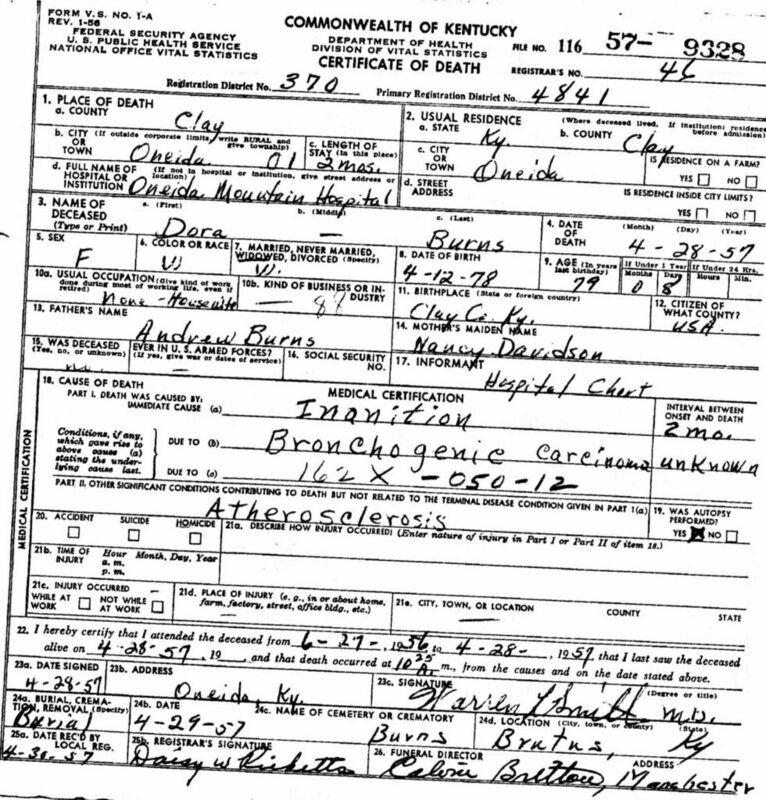 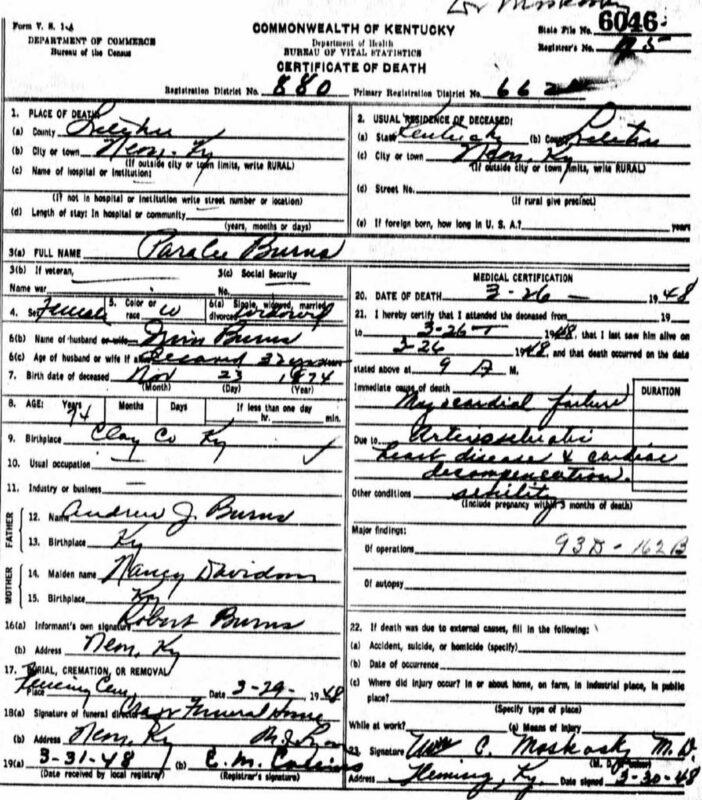 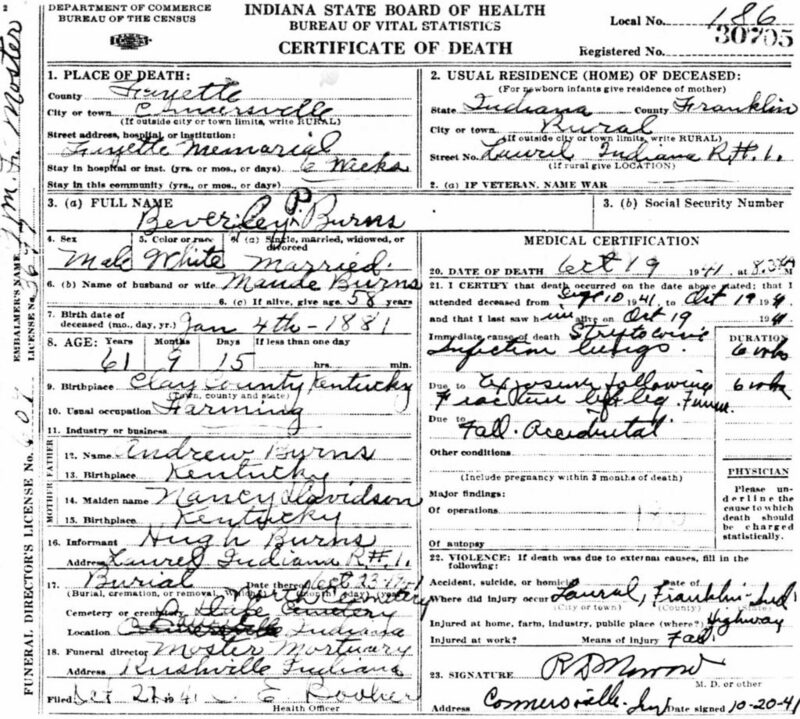 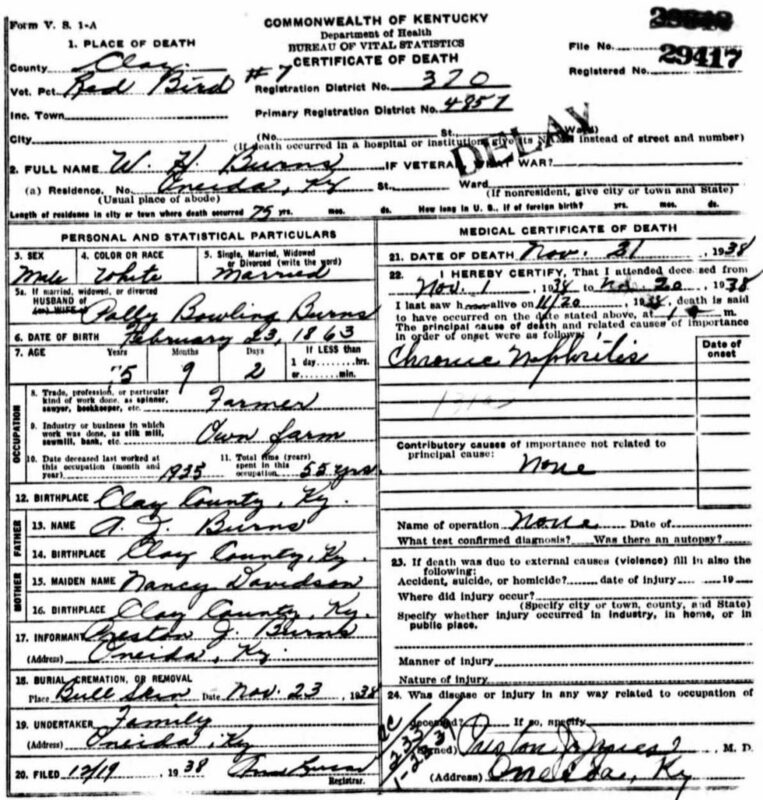 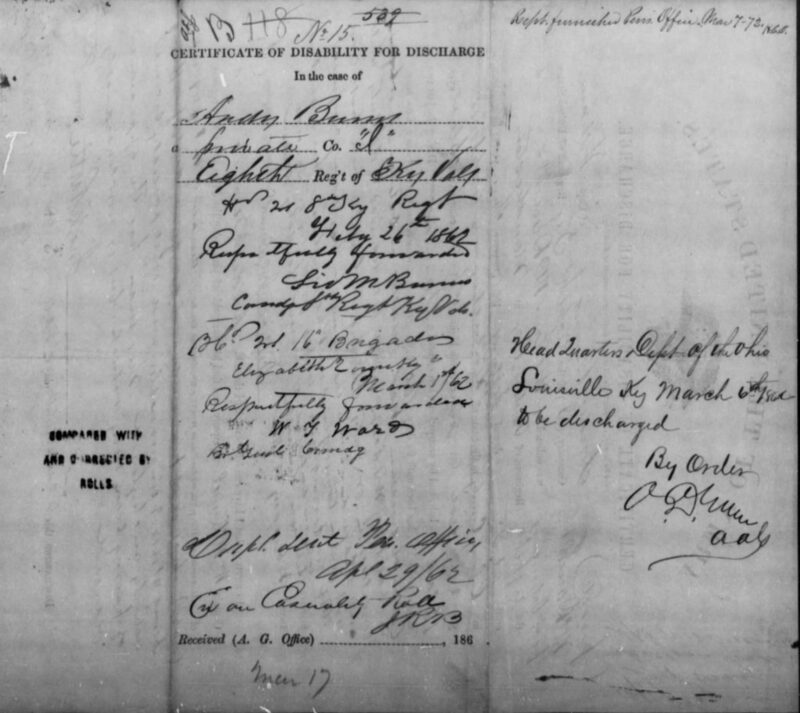 Andy Burns married Nancy Davidson on 12 April 1863 in Clay County, Kentucky.